In January 2013, 24 young, international, professionals studying at Maastricht University collaborated to form and launch a blogging platform for comment and debate. The result was EuropeanPublicAffairs.eu. Working together over the course of the last 6 months with a common goal of highlighting and sharing our viewpoints on EU policy has been a pleasure. But none of this could have been done without the support and good will of you, our readers, our followers, our well-wishers. 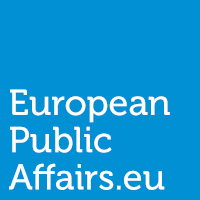 Who have stuck with us through the inevitable bumps and successes since we began; this is for you, a thank you from all of us, highlighting the good, the bad, and the future of EuropeanPublicAffairs.eu. With many of us based in Brussels and others working across the EU, the summer recess is a time of rest and recuperation for any individual working within public affairs. We’ve decided this is the perfect opportunity to take a step back, relax and enjoy some sun (please let it be sunny)! With this short break we’ll have the time to fix and change certain aspects of our website and decide how best to streamline and promote our content to a wider audience. We’ll be back on Monday September 2nd with new articles and viewpoints just in time for the busy legislature period to follow. The best thing about EuropeanPublicAffairs.eu is the freedom it grants us, for all our contributors, no topic is off the table. We’ve had articles ranging from the issue of unpaid interns; the dilemma of the EU’s relationship with Russia and our energy supply; an investigative piece on the CAP and its direct funding of Spanish Bull fighting; direct comment on EU cloud computing legislature; light hearted pieces on strange facts of Croatia; and finally strong opinion pieces on social welfare and employment. These are just a select few articles which have proved popular before I even mention our book reviews, interviews and obituary pieces. If the relative success of the blog took us all by surprise, we are happy to commit even more to it, and to continue this adventure now that our Master is over. Hence, EuropeanPublicAffairs will now be even more important for us, to bring our different voices and perspective from Brussels and all over Europe. And we hope you will keep on joining and enjoying this adventure with us, continuing your involvement. Our next steps as a team will be to fully utilise the experience we’ve gained in catering to the needs and requirements of our readers. From subtle changes to the website – with articles based on policy categories instead of “columns” and updated contributor profiles – to more succinct articles and a more strategic outlook into what the “hot topics” will be from week-to-week (such as articles dedicated to policy dossiers being voted on, Strasbourg plenary’s and most importantly, developments on the 2014 elections). Having been up-and-running for just over 6 months, on behalf of my co-founders at europeanpublicaffairs.eu, I wish to end by saying thank you. To everyone who has commented, engaged with, supported, criticised and assisted us, please continue to do so. We welcome any and all input via any one of our contributors. From the team, we wish you a pleasant summer and can’t wait to see you all again on September 2nd.